The iPhone X was announced last week with many highlights including Face ID, an almost bezel-less OLED display, and a really fast A11 Bionic chipset – something the iPhone 8 and iPhone 8 Plus also sport. The SoC has six CPU cores, with the ability to run all of them simultaneously. 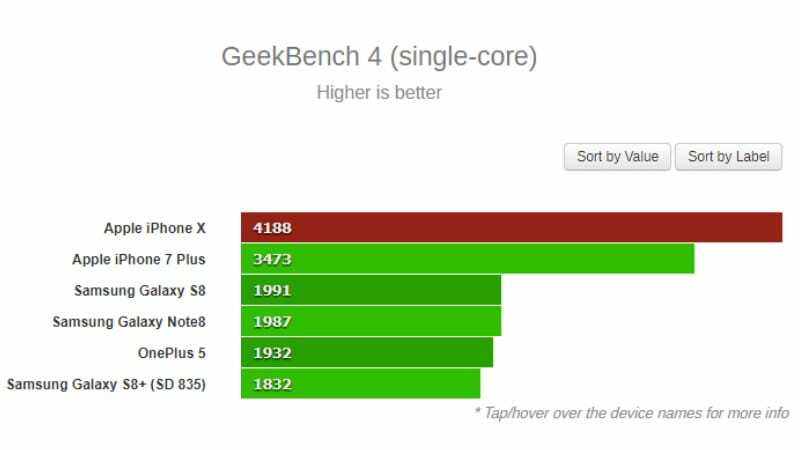 Now, the iPhone Xhas been put through GeekBench 4, and the single-core and multi-core tests both prove that the chipset is indeed very powerful. The Apple iPhone X beats the competition in the market – like the Samsung Galaxy Note 8, Samsung Galaxy S8, and the OnePlus 5, and the Samsung Galaxy S8+ by a fair margin, as seen in this comparison graph. The Samsung Galaxy Note 8 and Galaxy S8 are being powered by a Exynos 8895 SoC, while the OnePlus 5 and the Galaxy S8+ are powered by Qualcomm Snapdragon 835 SoCs. 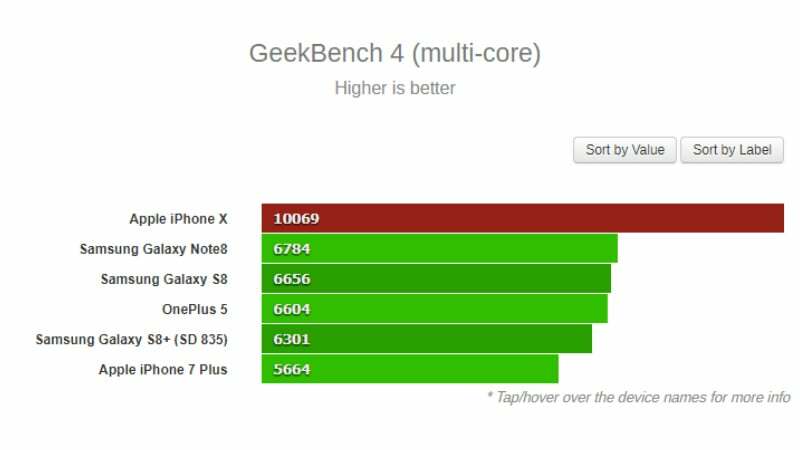 The multi-core scores for the iPhone X are much higher than the rest with the second on the list being the Galaxy Note 8 with 6,784 points, while the iPhone X manages a score of 10,069. The single-core score for the iPhone X is at 4,188, while the iPhone 7 Plus stands second with 3,473 points. The iPhone 7 Plus has an A10 Fusion chip with two high-powered cores and four power-efficient ones, but unlike the A11 which is able to run all cores simultaneously, the last generation one was able to run only one cluster at a time – either the high-powered one or the power-efficient ones. These benchmarking scores do indicate what a powerhouse of a device the iPhone X is. The iPhone X and the iPhone 8 Plus are thought to be powered by 3GB of RAM, while the iPhone 8 is said to have 2GB of RAM. 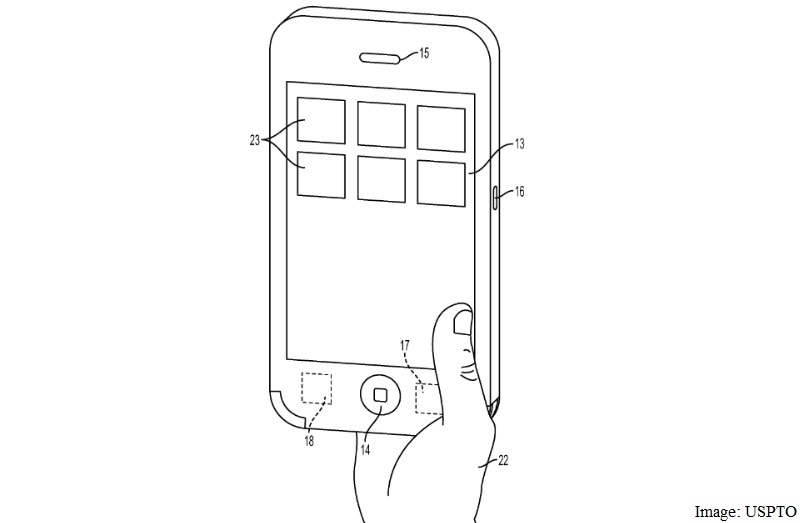 Apple’s A11 Bionic SoC features a ‘neural engine’ to handle machine learning or artificial intelligence based tasks, powering Face ID, Animoji, and other features. 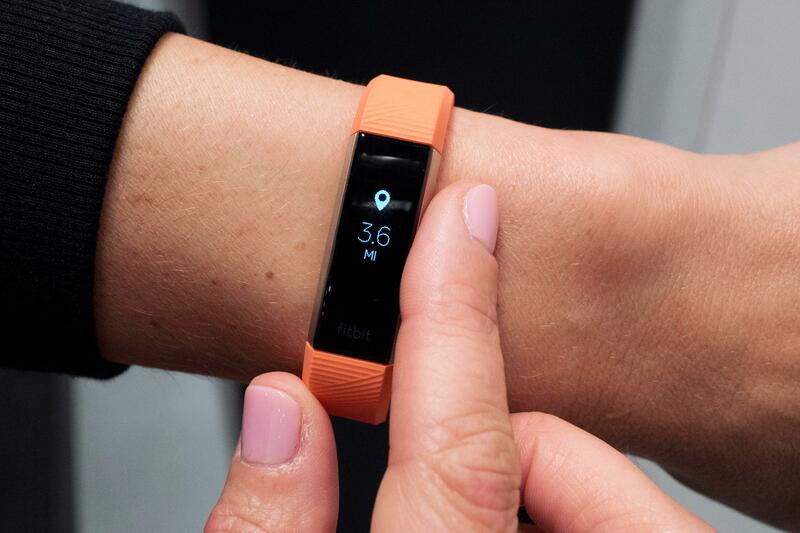 It’s a six-core CPU design with two performance cores that are 25 percent faster than the company’s A10 Fusion, which it has previously used in older iPhone generations. The other four cores are for efficiency that are 70 percent faster than the A10 Fusion. Coupled with these cores is a new, second generation performance controller that makes use of all the six cores simultaneously (as mentioned earlier), delivering up to 70 percent greater performance for multi-threaded workloads. Apple claims that the A11 Bionic-powered iPhone models will last two hours longer than the previous generation. The A11 Bionic chipset is also integrated with an Apple-designed GPU with a three-core design that delivers up to 30 percent faster graphics performance than the previous generation.